Port Charlotte is known for its warm weather, extending well through most of the winter. Which is why locals have a hard time thinking about needing services like heating installation. However, when the need for this type of services arises, or any other cooing or HVAC work, think Bowen Cooling. Our mission is to help you keep your Port Charlotte home or business just the right temperature, all year long. Of course, our main focus is on the service we use the most here in Port Charlotte - air conditioning. Too often, people miss or ignore the signs of distress with their air conditioner. Issues with the thermostat are alarming because this is essentially the brain of your entire system. If it doesn't work properly, then your A/C won't be functional. Always check to make certain it is actually on and set to auto not fan. Or, make certain the temperature has not been set too high resulting in the cool air not being signaled to activate. How is the level or condition of cool air? Many homeowners complain that they notice little to no cool air being distributed. Sometimes it's a repair like a refrigerant leak or compressor repairs. However, depending on the age of the system and the cost of the repairs, it may make more sense to opt for replacement over repairs. Monitor also for strange sounds or smells. You should be familiar with how your cooling system operates on a day-to-day basis. So, it should be easy to detect a change in the behavior, including unusual smells or sounds. If your A/C is giving you auditory or olfactory clues that something is wrong, don't ignore it. Living in this area has plenty of perks, and the ideal weather is certainly one of them. Of course, that also means making sure that your air conditioner is ready for the hot summer and that your heating system is still prepped for the occasional chill. 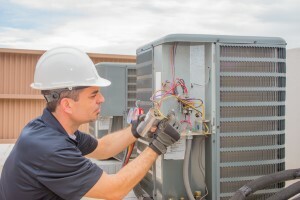 Make it a point to contact the Bowen Cooling crew when you are in need of any type of service for your Port Charlotte residential or commercial property. We provide the best in workmanship, as well as personalized customer service.